Party Origami got featured in one of my favorite craft magazines, Mollie Makes! 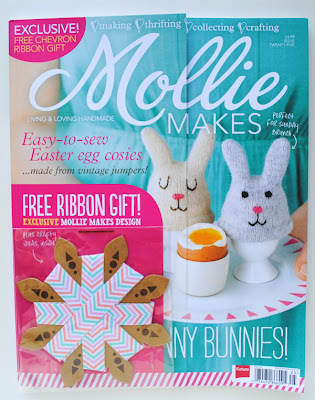 For those not familiar with Mollie Makes, it's a craft magazine based in the UK. 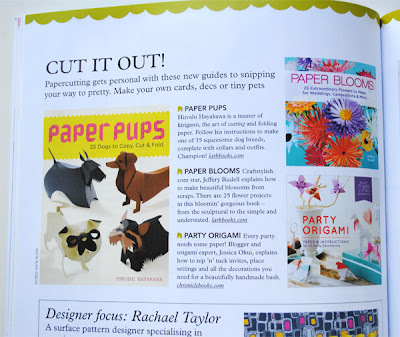 The magazine features craft tutorials from sewing projects to knitting patterns. The magazine also features lots of craft artists and their surroundings. In this issue there's a wonderful interview with Brittany Watson Jepsen (designer behind The House That Lars Built). 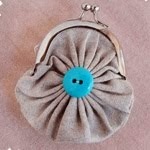 Another great article in the magazine shares about the best places to shop for handmade in San Francisco. There's so much more in this issue so if you happen to visit the bookstore, please check it out. The issues always seem to get to the US a little late. I just found the April issue at my local bookstore. 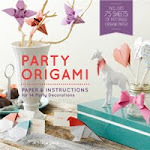 Changing topics, I never heard back from the winner of the Party Origami Giveaway so I've chosen a new winner. 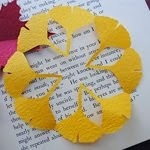 The new winner of the Party Origami book is Fashion Lights. Congrats! omg! i won, i can't believe it! So awesome! Big huge congratulations, Jessica!